The John Bull pub has been the focus of much attention recently, as it’s twenty years since it closed. Demolition followed. 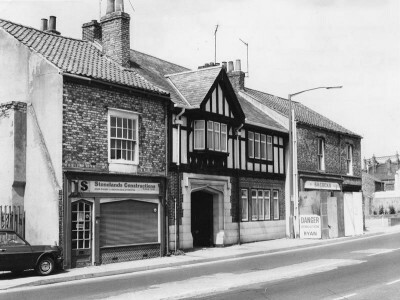 Gavin Aitchison’s article in The Press prompted a response in York Mix by Matthew Laverack giving another side to the story regarding the demolition of the pub, and the history leading up to it. An ‘untold story’. Very interesting to see things from the other side. What would we do now if we still had the John Bull? What if none of that had happened and the John Bull was still there, with its intact 1930s interior, and was under threat of demolition now? The information gathered in the National Inventory and the joint project may prevent decisions being made with inadequate evidence, such as the one made about 1990 on the John Bull,York. English Heritage did not recommend listing the pub – a small, multi-room pub, complete with all its fittings but conservative architecturally – because nobody knew whether the pub was an exceptional survivor or one of many of its type. If what we know now as a result of over a decade’s survey work had been known then, it might still be possible to buy beer at the John Bull rather than a used car from its site! Clearly the ‘might still be possible’ is also a key phrase. Listing might prevent demolition but it wouldn’t be able to preserve the place as a functioning pub. Pubs with authentic historic interiors are clearly valued now more than ever, but this pub was stuck outside the walls with no obvious community around it to support it since the terraced streets around it were demolished long ago. It would appear that it had already been seen as surplus to requirements when Mr Turnbull bought the site in the late 1970s. Clearly by the 1990s it was seen as unique, and was thriving, and so popular I recall it being uncomfortably full on the couple of occasions I visited. I’ve tried to remember more detail about those visits. And wondered if it might be one of those places that has acquired such an iconic status, such a massive amount of fond nostalgia around it that memories get skewed and rosy and enhanced with the passing of the years. Perhaps I only went to the John Bull on one occasion rather than several. Possibly to see a band play there. I vaguely remember spending most of the evening in the beer garden. 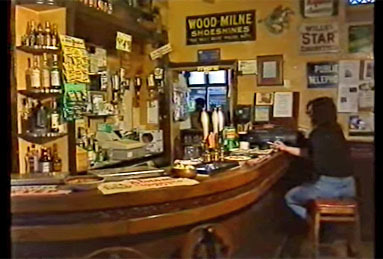 The campaign video from back then is very powerful, and focuses on the people using the pub. It was clearly a strong community of people who used the place and really cared about it. I understand that feeling, that attachment to a place. Did that happen at the John Bull because it had an unspoiled 1930s interior? Probably not. Why did it happen there? What made that particular building so ‘special’ as a pub? The combination of factors, and particular people, at a particular time, I guess. And the same can be said of a lot of other places. I remember the York Arms in the late 1980s as being similarly important, to a large group of people. I also remember fondly the Bay Horse on Gillygate, circa 1984, and the Grobs on Rougier Street at a similar time, and later the Spread Eagle, the Spotted Cow, the Bonding Warehouse. These places meant something because of what happened there — in the case of the last three, for me personally, it was because they staged live music, and much of the time I was there I was watching friends playing that music. None of those venues have been demolished but they’re unrecognisable now. The buildings are the same, in most cases (not the Bonding Warehouse, rather dramatically changed) but the people have changed and those times have gone. We’re older, all our lives have changed, we’ve found other things to do and different places to go. The John Bull, if it had survived as a building, if it had been listed and preserved, could it have survived as a pub? Many pubs outside the city walls are now struggling to survive, and many have been demolished. So what we’re left with is the record of the campaign, on video, and photos, and memories recorded online, and most recently the articles prompted by the 20 year anniversary of the pub’s demise. One of which presented another side to the story many of us didn’t know. For anyone who wasn’t around at the time, not caught up in these events, I’d recommend watching the 2-part film made in the 1990s (on YouTube: part 1 and part 2) then reading Matthew Laverack’s view of events. It’s beyond the scope of this site but I did find these representations very thought-provoking, in many ways. The John Bull in York may be long gone but its recent history has been comprehensively recorded now from so many angles. Can the same be said of other pubs the city has lost, the other pubs demolished? Probably not. Also in the Press recently, the memories of a local man whose parents ran the John Bull for many years, including during the war. Highly recommended: Memories of a landlord’s son. Should it have been listed? If it had been would it have been a thriving pub still? What have we learned about assessing the ‘heritage value’ of buildings in the 20 years since it was demolished?